My Carlie had hair down to the middle of her back. 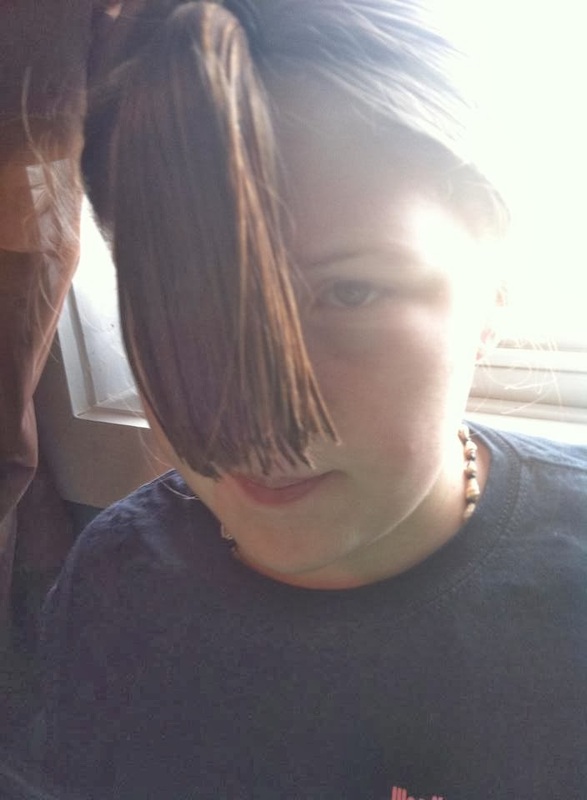 She had mentioned wanting to get a haircut soon. Around here, we try to do as much as we can 'at home' to save a little money. Plus being able to give a haircut is a useful skill! I always cut my husbands hair (haha, nothing hard about that, he likes to keep his head shaved), I cut my boys hair most of the time and I trim my girls hair when needed... (when Cameo was younger I cut it too). A friend of mine on facebook posted a link to this blog. 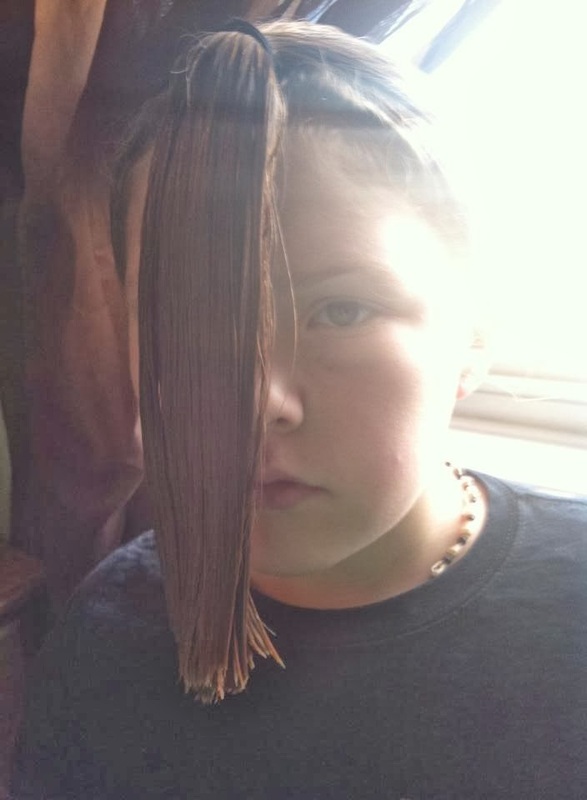 It had this idea for giving hair layers in 5 short minutes. 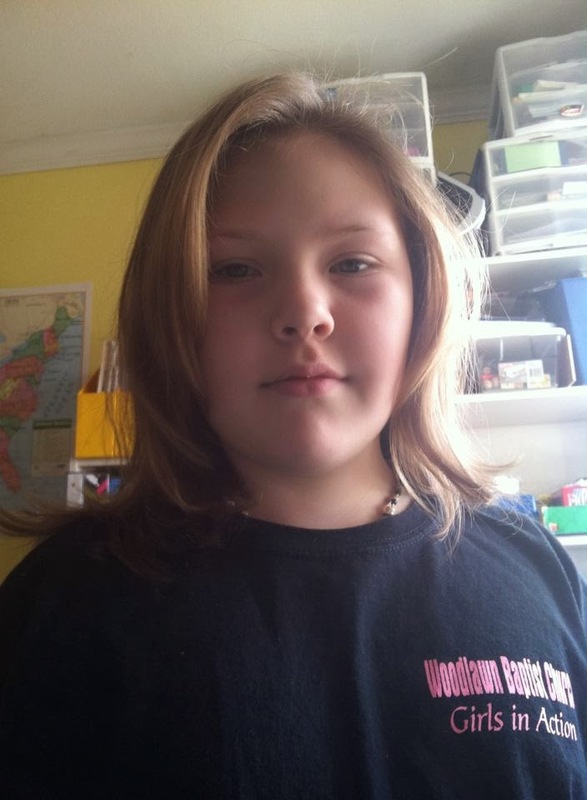 Carlie has somewhat thin hair and layers are helpful to give it body and a little volume. The Mom suggested washing hair and combing it straight. 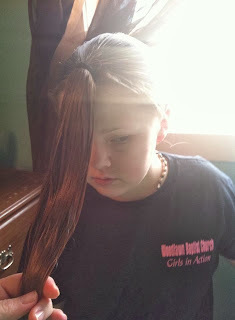 Then flip the head over and brush all towards the front of the head and secure with a ponytail. Then simply cutting it straight across wherever you like on the ponytail. 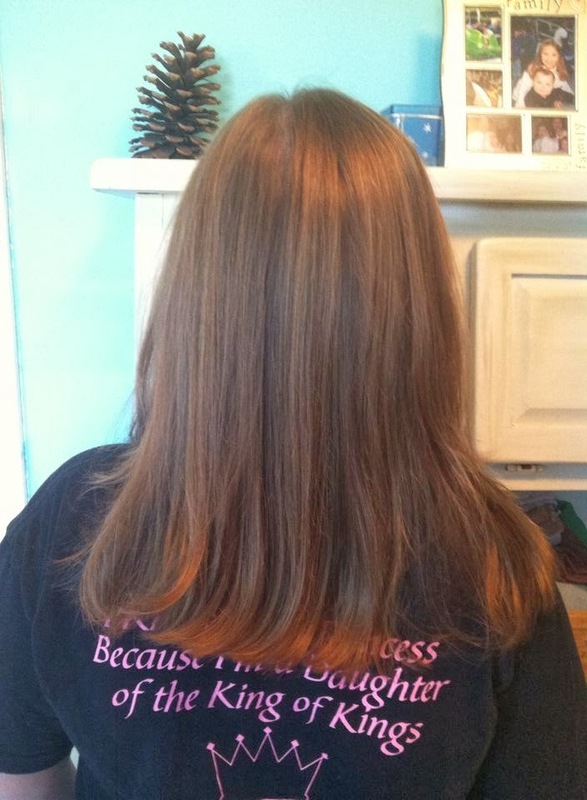 I cut a little and brushed it out. 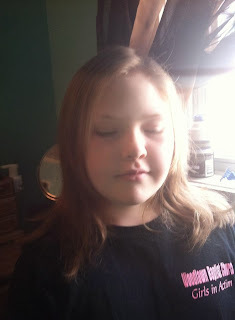 I could see the layers in the hair, but Carlie wanted a bit more drastic cut. 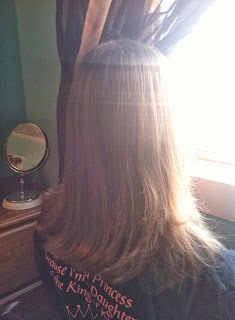 So we went several inches shorter. Once I took her hair down, I ended up trimming it just a tad more on the ends to get rid of a few hairs I had missed. No big deal. We dried her hair and we were both VERY happy with the results! That is a different issue all together! I went and done did it. I really like the way it turned out. I have very curly -mostly frizzy-hair. This thinned it out and with a little de-frizzer it looks so much better.